Four. That’s the number of days it took for Nikki Clark to return home following scoliosis surgery at CHOC Children’s Hospital. 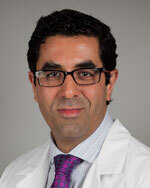 Dr. Afshin Aminian, an internationally-recognized expert in pediatric orthopaedics and medical director of the CHOC Children’s Orthopaedic Institute, performed the surgery using the latest techniques and technology to minimize pain and yield the best outcome for his teen patient. Nikki was among the first patients at CHOC to benefit from personalized spinal implants. Based on detailed measurements and perioperative planning, customized rods were created to the precise length and shape of Nikki’s spine. The goals of this approach are better alignment and accurate correction of the patient’s spine. Customized implants and patient-specific rods decrease surgical time. In addition, they have the potential to improve recovery time and minimize future problems related to scoliosis. X-rays of Nikki’s spine, before and after receiving custom spine implants during scoliosis surgery. A swimmer and competitive water polo player, Nikki was thrilled to hear Dr. Aminian’s approach to care. Less than a year after being diagnosed, she decided to pursue surgery rather than wait. Her focus: being ready for the upcoming season. “I knew my life was going to get busy and really wanted to make sure I could play water polo during my junior and senior years. I wasn’t afraid of the surgery or the pain. I was more worried about not being able to play,” explains Nikki. The morning of her surgery, Nikki began feeling anxious; not scared, as she pointed out to the child life specialist who came to check on her in pre-op. “I knew I had the best doctor, at the best hospital in California, and was ready to get the surgery over and done,” recalls Nikki. A few hours after surgery, Nikki was surprised she wasn’t experiencing as much pain as she anticipated. The next day, a physical therapist helped her sit up for the first time. “It felt so good to finally be able to move,” says Nikki, who also enjoyed ordering milk shakes from CHOC’s room service menu. The chocolate banana one was her favorite. After scoliosis surgery to receive personalized spinal implants, Nikki was surprised she wasn’t experiencing as much pain as she anticipated. She continued to follow all the guidelines, including getting out of bed to walk. Her physical therapist and nurses were among her biggest cheerleaders, praising her for quickly reaching the milestones required for her to go home. On Nikki’s fourth day at CHOC, Dr. Aminian proudly announced she was going home. Nikki’s recovery at home continued to progress at a record pace. A month later, she returned to school. Two months later, she was back as a junior life guard in Newport Beach. The determined athlete surprised everyone by finishing the “monster mile,” which includes running a mile and swimming a mile. By the end of summer, she had also completed eight jumps off the pier. Nikki loves being outdoors, and quickly returned to her active lifestyle after scoliosis surgery. Back in competitive water polo, Nikki proudly shows off her surgical scar. She’s been approached by other players, who have scoliosis. She encourages them to “make the jump.” “You’re strong and in great shape. You can handle surgery,” she tells them. Jennifer was diagnosed with scoliosis at 8 years old. After several lifestyle modifications and dedication to wearing a back brace, she was able to avoid scoliosis surgery. Ellie was a typical seventh grade student who enjoyed playing volleyball when, during a routine physical, her pediatrician noticed that one shoulder appeared to be a little higher than the other. Her mom was told to keep an eye on it, but since it was minor, not to worry. A few months later, minor back pain after a growth spurt lead her mom to discover a curve in Ellie’s back. Another trip to the pediatrician soon followed. Initially Ellie and her mom Gail thought the back pain might be due to carrying a heavy backpack around school every day. But Ellie’s pediatrician diagnosed her with scoliosis, and referred her to Dr. Afshin Aminian, director of the Orthopaedic Institute at CHOC Children’s. The curve in Ellie’s spine was less than fifty degrees, and non-operative treatment was recommended. She received a custom-fit brace that would apply pressure to the areas where the spine was exhibiting deformity, in order to reverse the curvature and prevent it from getting worse. “It made me more self-conscious and it made the little everyday things people take for granted more challenging, such as tying my shoes. But I learned to adapt, and even more than adapt, prosper. Time gave me the gift of wisdom to deal with my scoliosis; scoliosis gave me the gift of knowing challenges are inevitable but my defeat is optional,” she says. An example of a Boston Brace, like the one Ellie wore. Wearing the brace practically around the clock took a few weeks to get used to. The first few nights she slept in a sleeping bag on her bedroom floor because it was more comfortable for her back. At the time, Ellie and her mom wondered if she’d be teased for wearing a brace every day. Long tank tops that were soft and comfortable, loose-fitting shirts, and skirts became wardrobe staples as Ellie tried to camouflage her brace. Because of how far her brace comes down her back, shirts that are a bit longer in the back also helped, she says. Long tank tops are one way Ellie camouflaged her brace. Hearing stories of other scoliosis patients who weren’t as regimented about wearing their braces reinforced for Ellie the importance of sticking to her brace regimen. She made special arrangements with her physical education teacher at school and her volleyball coach to change in private before class and practice because of her brace. “Having scoliosis wasn’t Ellie’s first choice, but thanks to good support from her school, teammates and friends, she is thriving. Scoliosis just added a little complexity to things, and Ellie has mastered that very well,” says Gail, who helps Ellie tighten her brace after every time she puts it on and takes it off. Thanks to Ellie’s dedication to wearing her brace every day, the curve in her spine drastically decreased, and she is now slowly able to decrease how often she needs to wear it, and in a few months, she will be brace-free. Ellie’s commitment to her care team’s plan was evident. “Part of the reason Ellie’s bracing was so successful was due to her commitment to wearing her brace religiously, up to twenty two hours per day. She was disciplined and it paid off,” says Aminian. Ellie’s hope for recently diagnosed scoliosis patients is that they would also prioritize their doctor’s orders over what other kids at school might tease them about. During a routine check for scoliosis during physical education class in seventh grade, a teacher noticed a slight curve in Jessica’s spine. A trip to her pediatrician soon followed. X-rays showed a thirty degree curve and since that was considered slight, follow-up imaging was recommended for a year later. By that time Jessica’s curve worsened by 15 degrees, and she was referred to Dr. Afshin Aminian, pediatric orthopaedic surgeon and director of the CHOC Children’s Orthopaedic Institute. Bracing was initially recommended to try to prevent Jessica’s curve from getting worse. Although Jessica was vigilant about wearing her brace as instructed, her curve worsened by another twenty degrees, to nearly 70, and surgery was recommended. As a lifelong dancer, and a member of her high school’s competitive dance team, Jessica was initially worried that having surgery to correct this significant curve would affect her flexibility. Jessica’s spine, before and after surgery. Jessica’s surgery was ultimately set for winter break during her sophomore year of high school. “All of my nurses were so impressed that I was up and walking the next day, but after I went home it was harder than I thought to move around” she said. At a check-up with Dr. Aminian a few weeks later, Jessica was healing so well that she was able to return to school three weeks after surgery, as opposed to the three month break she had expected. Thanks to her flexibility as a dancer prior to surgery, she could even touch her toes at her follow up appointment, to the surprise of her care team. Getting back into the groove of a full school day did not come without challenges. To protect her spine as it continued to heal, Jessica had to adjust to sitting for longer periods of time, something she slowly worked up to before returning to school. She also brought a small pillow to school to make her desk more comfortable, and made arrangements with teachers to keep textbooks in class so she didn’t have to carry them around. “For an active person like me, not being able to bend, twist or lift anything for three months was hard, but in the end it made me thankful because my recovery was temporary, and overall I am really healthy,” she says. Jessica knew she wanted to document her recovery phase, so she asked her mom to film some footage while she was in the hospital. That eventually morphed into a series of YouTube videos educating others on scoliosis, recovery tips, and sharing her own journey with the condition. When she was diagnosed, she knew others who had scoliosis, but no one’s curve was as severe as her own, so some peer-to-peer questions were left unanswered. After her own successful scoliosis surgery, Jessica now imparts wisdom on other teens suffering from scoliosis. Filming these videos and helping other patients has helped to fill the void that dancing left. After losing one year of practice time due to surgery and recovery, Jessica decided not to go back to dancing. “If you look at the spine from the front and the back, it should be straight. When scoliosis is present, there is always a sideways [“S” or “C”-shaped curvature] shifting of the spine from the right or left,” says Dr. Aminian. The cause of scoliosis is unknown, but scientists have recently identified genetic markers that are contributing to individuals with it. The condition is more prevalent in girls during their growth spurt years. “Usually, the majority of cases don’t become progressive, but a small subset do and might require surgery in the future,” says Dr. Aminian. “California is one of a number of states that requires screening students for scoliosis in schools. It’s important that children get screened with their school nurse or their pediatrician,” says Dr. Aminian. The Adam’s Forward Bend Test checks for scoliosis by having the child lean forward and looking at rib asymmetry. Others signs can be shoulder height (when one shoulder is higher than the other), uneven hips and waistline asymmetry. “If we catch the scoliosis at younger ages and smaller curves, we’re able to control it with a bracing program,” says Dr. Aminian. The more often the customized brace is worn, the better. Some kids may feel self-conscious wearing it at first, but CHOC’s counseling program helps them cope. “We work with them to increase the number of hours they wear it at school. We stress they wear it at night,” says Dr. Aminian. And they can even sleep in it. Dr. Aminian is the director of the CHOC Children’s Orthopaedic Institute. He completed his general surgery internship and orthopaedic surgery residency at Northwestern Memorial Hospital and is affiliated with the Pediatric Orthopaedic Society of North America, the American Academy of Orthopaedic Surgery and the Scoliosis Research Society. This article was featured in the Orange County Register on December 23 , 2013 and was written by Shaleek Wilson.